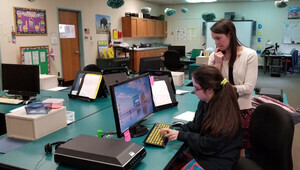 The White Hall Independent Living Program is an educational and residential opportunity for students in the School to Work daytime programming at Overbrook. The White Hall Apartments create a learning environment that enhances the independence of young adults ages 18-21 through direct instruction and practice of apartment living skills. Who qualifies for White Hall? Students who have expressed interest and qualify to participate in the program will live on campus Monday through Thursday evenings and returning home on the weekends, days off and holiday breaks. Students must be able to complete basic personal care needs and exit the building in the case of an emergency with minimal assistance in order to qualify for the White Hall Program. What kind of instruction is provided? Transition planning including job searching, exploring post-secondary options, and training programs. What staff is there in the evenings? White Hall evening program will provide all money for food expenses, cleaning supplies, recreation activities, and travel fare. Students do not need to bring any personal money unless they would like to spend it in the community on personal items such as clothing or gifts. Students will have access to the campus gym, pool, computers, handheld assistive technology and WiFi access in the evenings. Students are expected to use these facilities and devices responsibly. Read the latest and past issues of our Parent Newsletter, News You Can Use. Orientation and Mobility Specialist, Christine Wozniak, shares some great tips on how to better understand vision exams and visual acuity that you can read here. 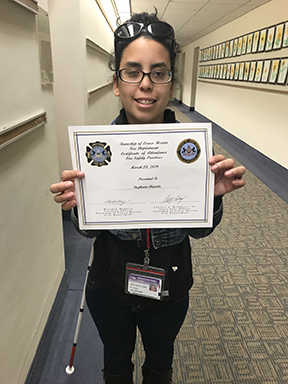 Stephanie A. was asked by her internship employer, Overbrook Presbyterian Preschool, to participate in one of their professional development sessions and she received a certificate of attendance in Fire Safety Practices from the Lower Merion Fire Department. We are so grateful to this wonderful employer for helping Stephanie to grow as an employee and also build a great resume! 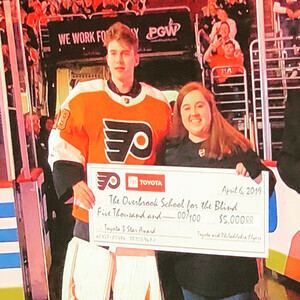 Philadelphia Flyers & Carter Hart Donate to Overbrook School for the Blind! It is with deepest gratitude and heart-pounding excitement that we share this news! The incredible Philadelphia Flyers, Rookie goalie, Carter Hart took home the Toyota Cup award for accruing the most star of the game points. A check for $5,000 was presented in his name to Overbrook School for the Blind! We cannot even begin to thank him personally and the Philadelphia Flyers Organization for its generosity of spirit, its big, big Philly heart! We are beyond grateful and filled with pride! So many thanks! We can't wait to invite you here to see what becomes of your generous donation! To make Temple Theaters a leader in arts accessibility initiatives for people who are blind or visually impaired. Thanks so much for any help you can offer! the Temple community gathers together to toast to the future of the School of Theater, Film and Media Arts and the university as a whole. During this time, the department that has the highest number of participating individuals (at ANY amount, even $1) receives $5000 of additional funding! Consider donating ON that date to maximize your impact! Remember, it’s not about how much you give, it’s that you give. The latest edition of the Red & White is out and it is fabulous. The students create this publication several times a year, using the skills they gain through their technology and academic classes. We invite you to take a few minutes to see what's happening in the High School and School to Work Programs, as witnessed through the students' lens. The Kappen Aquatic Center - Sharing Splashes of March Madness with OSB White Hall Program and Woods Services. Our OSB students and Woods Services enjoyed a March Madness Swim Social filled with activities, fun, laughter, joy, friendships and more! Socialization is one of the best parts of growing up, it is also part of the Expanded Core Curriculum for students with Visual Impairment. Everything we do focuses on the common core plus nine more. School to Work Student, Sean M., has been working on his travel skills since he was in our Early Childhood Program. Our Orientation and Mobility specialists never stop assisting students in breaking barriers and meeting new personal goals. 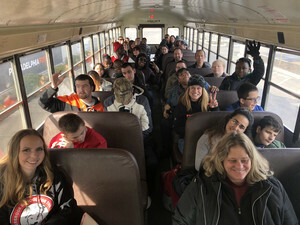 As part of O&M, students learn to take public transportation, SEPTA, and how to set up transportation services for pick up and drop off with CCT. 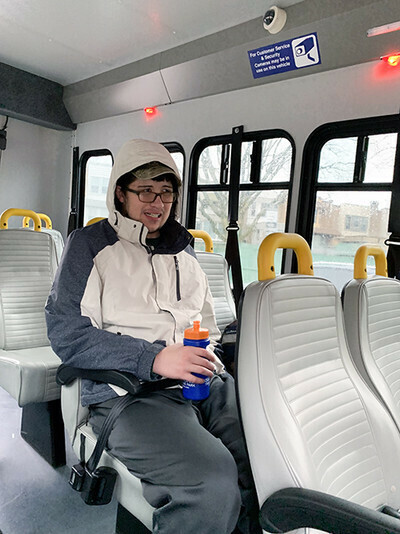 Ms. McGovern took this happy photo of Sean taking his first independent, CCT Connect trip! Let the exploring begin! We welcome suggestions from students and parents on tips and tools, websites, and shops that make life easier for people with visual impairment. We love shout outs to companies that employ students, companies that develop new tools for people with disabilities, apps that make communication easier and classroom time less stressful. Here's a list of resources to check out. Do you have a resource you would love to share? Send it to us, and we can post it for other teachers, other parents, and or students. We would like to honor Overbrook Presbyterian Preschool and Mrs. Kate Nelson as our Employer of the Month. Read more about how Ms. Nelson has helped many students at Overbrook gain valuable work experience. We are incredibly grateful to all of our employers and you can see by Stephanie's smile how much she loves her job. Would you be interested in employing an OSB student, at no cost to you or your business? Contact The Transition Departmetn for more information. Silly Hat Day is the Best! Spirit Week is a great time to share lots of laughs and creativity! This winter has been especially long and we are ready for the springtime! Spirit week is such a great pick me up. Who can help but smile when you see the staff and students sharing their OSB SPIRIT! A SONG EVERYONE CAN SING! 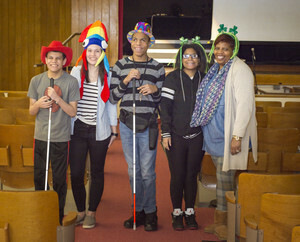 Students from Overbrook School for the Blind will participate in “A Song Everyone Can Sing,” a community sing featuring VOCES8 on Sunday, March 10, 2019, at the Temple Performing Arts Center, 1837 N. Broad Street in Philadelphia. LiveConnections is dreaming big about accessibility & inclusion. Our multi-media music extravaganza welcomes EVERYONE to make music together. The cornerstone is a new choral work that invites people with diverse abilities to participate through singing, movement, visuals & technology. Collaborators include renowned a cappella ensemble VOCES8, composer Jay Fluellen, movement artist Shavon Norris, poet Daniel Simpson, Drexel University’s ExCITe Center, Art-Reach, & choirs from schools & human service organizations. Join us! Please register in advance; individuals & groups welcome. $1 per person. SPIRIT WEEK IS COMING SOON!!! PJs and hats and pep rallies, oh MY! Next week the mayhem and fun begins March 11! Spirit week is one of the best weeks on campus. Don't forget to dress the part, get some points, and prep for the PEP RALLY on Friday! We can't wait! As you can see from last year's photos, we always have a blast celebrating our school! A Song Everyone Can Sing! Save the Date! Save the Date! Sunday, March 10th! 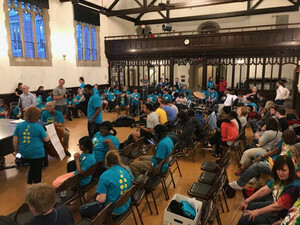 OSB students will participate in LiveConnections' “A Song Everyone Can Sing,” a community sing featuring Voces8 at the Temple Performing Arts Center, 1837 N. Broad Street. In celebration of LiveConnections’ 10th anniversary season, they are presenting an accessible and inclusive multimedia music performance where everyone in the audience can participate in making music together. Nine of our students will join the renowned a cappella ensemble VOCES8 to present the world premiere of a new choral work. Tickets are $1, but you must register in advance. To register, visit www.liveconnections.org/community-sing. Last week the Early Intervention Program visited the newly opened Lulu’s Casita in West Chester. Lulu’s Casita is a play area where kids can explore on their own and interact with others. Fun was had by all! The Early Intervention Outreach Program sets up community trips for our family’s in Philadelphia, Delaware, Montgomery and Chester counties in hopes that our families will make connections with each other. 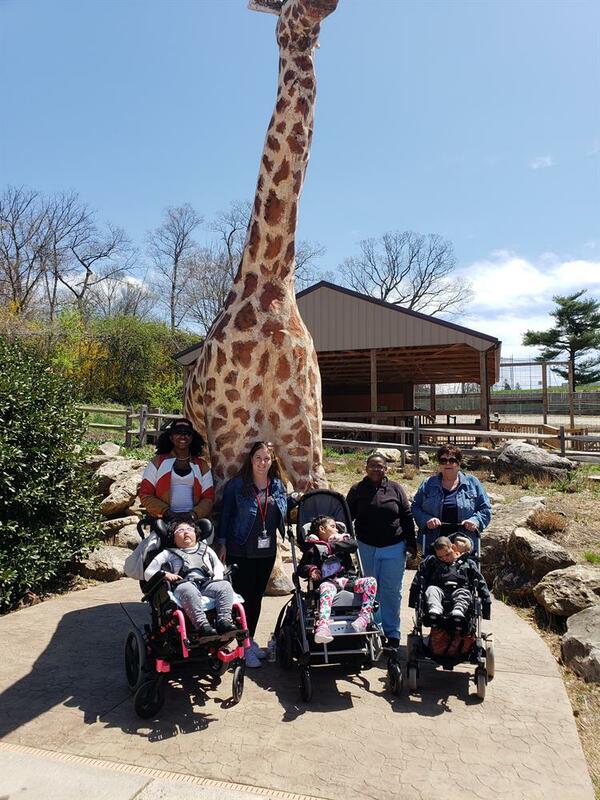 The Overbrook Teachers of Students with Visual Impairment host to introduce families and assist with visual efficiency and ways that parents can support their child's visual needs when out and about in the community. We know that it really does take a village and that sharing with someone who understands is vital to the health of the entire family. Unfortunately, OSB will not be hosting the Goalball matches scheduled for the 20th or the 27th. The next away meet, hosted by MSB is scheduled for March 7, 2019. We can't wait! Hockey Is For Everyone Month! There is a ripple effect that happens when you are exposed to new things, when you share experiences, but, when you learn something new, and you teach something at the same time you are being in service. The US Blind Hockey Association in conjunction with the Voorhees SkateZone, and the Philadelphia Flyers gave our students a day they will never forget. Little did the students know, that they too gave something back to all the incredible people who made this event happen. Watch footage from the Philadelphia Flyers Facebook Page. Watch Justin and Shawny Hill skating together and learning from each other. The latest version of News You Can Use Parent Newsletter is available from Parent Liaison, Rhonda Davis, and it is chock full of resources and events for parents and caregivers to attend. Check it out. February is Low Vision Awareness Month and it is also the time we celebrate our Teachers of Students with Visual Impairment (TVI) with a special luncheon. We are ever grateful for the dedicated, expert staff that leads the way for our students and the community. A big shout out to our TVIs! Julius Getting the Job Done! 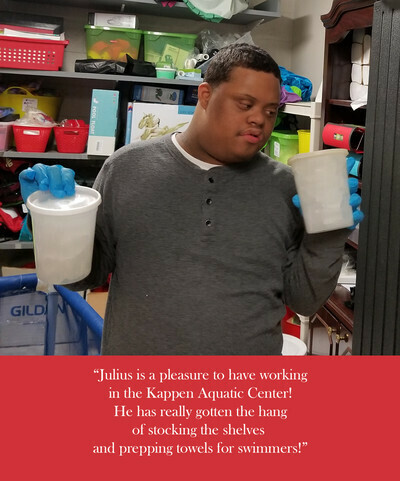 The Kappen Aquatic Center sends a big shout out to student-employee, Julius! Julius shows up to the KAC, ready for work and he works hard. Julius is benefiting from hands-on work experience and his on-the-job skills have grown tremendously. He's learned routine, responsibility and improved his focus on Activities of Daily Living (ADL): sorting, gathering, washing, drying folding towels and restocking the Kappen Aquatic Center. We are so proud of your hard work Julius! The Kappen Aquatic Center employs 34 student workers who benefit from real-life job training and experience in partnership with HS, STW, and Transition Services. Many students are able to apply what they have learned on-campus to off-campus employment as they become more confident and capable workers. We believe strongly career awareness, advocacy, and vocational training should begin as early as possible and continue through graduation. Our students enjoy work, and employers love working with our students. Are you a local business interested in employing a student or students? We would love to talk to you! Thanks to the US BLIND HOCKEY ASSOCIATION: and the PHILADELPHIA FLYERS our students are driving off to an incredibly exciting day! "The Philadelphia Flyers will host students from the Overbrook School for the Blind, as every student will be paired with a player who will help them skate and give hockey pointers. The event will begin as soon as Flyers practice ends on February 6 and will last approx. 20-25 minutes. Blind skaters will then have the opportunity to continue to skate and try hockey for another 30 minutes after the Flyers leave the ice. Some students attending will be wearing hockey gear as they learn to play blind hockey. The game is the same as regular hockey except the players are legally blind and must be classified as eligible due to a verified visual impairment. The most significant modification is that the sport features an adapted steel puck that makes noise, and is both bigger and slower than a traditional puck. Players’ levels of vision range from legally blind---approx. 10% vision or less---to totally blind, with the lowest vision athletes playing defense or goal." A huge thank you to the US BLIND HOCKEY ASSOCIATION for arranging this fantastic event! Today our students and staff said farewell to an amazing man and bus driver, Mr. Ned. It may have been cold outside but the smiles that our students had on their faces, despite the deep freeze, was a great way to start the day. Mr. Ned safely drove our students to and from school with a smile, a laugh, concern, care, and joy every day -- and boy, Mr. Ned is the example of someone who would go OUT of his way to ensure that all was well for our students. He is moving where it is warmer and we will miss him dearly. Ms. JoAnn McNamee, Therapy & Transportation Coordinator, wanted to celebrate Mr. Ned and all that he has done to enrich the lives of our students. If you don't know the impact kindness can make, just look to Mr. Ned as your example. Anyone with the generosity of spirit, respect, responsibility, and smile of this amazing bus driver, is a changemaker in the best way. We wish you the best of everything Mr. Ned. You deserve it! We are so proud of our Cheerleading Squad! A big round of applause to the students, the coaches, and all those who made a weekend in North Carolina, at Governor Morehead School an amazing event. 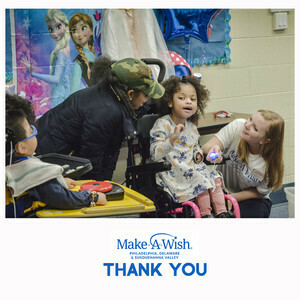 Makaela T. and her family are going to Disney World next week thanks to the generosity of Make-A-Wish Philadelphia, Delaware & Susquehanna Valley! Yesterday, Overbrook School for the Blind student, Makaela, had her Make-A-Wish wish celebration at school! The Make-A-Wish team visited Makaela, her mother, and some of her classmates to get them excited for her trip to Disney World! To find out more about this amazing day for one of our amazing families, check out this wonderful story on 6abc! 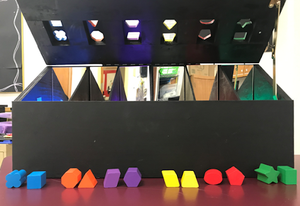 Make Your Own Adapted CVI Shape Sorter! MR. FRANK AND MS. MELISSA COLLABORATE TO CREATE A CVI ADAPTED SHAPE SORTER! Our staff never ceases to amaze us with their creativity and expertise. Everyone at our school shows up to give our students the best opportunity in life -- everyone. With the help of Mr. Frank L., one of our incredible maintenance staff here at Overbrook School for the Blind, Melissa Brown, OTR/L was able to bring an adaptation she was dreaming up to life. Find out how to make your own here! The High School Program would like you to read their latest version of The Red & White News. It is chock full of facts, fun, updates, and creativity. You can read the latest issue in Adobe Spark Online Format, PDF Format, or Word Format. We hope you enjoy the latest issue! 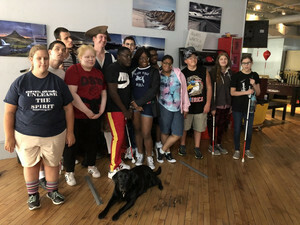 Overbrook School for the Blind presents the Overbrook TVI Program, a three-week residential summer program to prepare students who are blind or visually impaired for employment. TVI is presented in partnership with the Pennsylvania Bureau of Blindness and Visual Services (BBVS) within the Department of Labor & Industry’s Office of Vocational Rehabilitation. Our staff amazes us, every day, with creativity, ideas, perseverance and setting an example for our students. Ms. Victoria's Middle School student is using a Texture Board to practice tactual discrimination and hone her pre-braille skills. 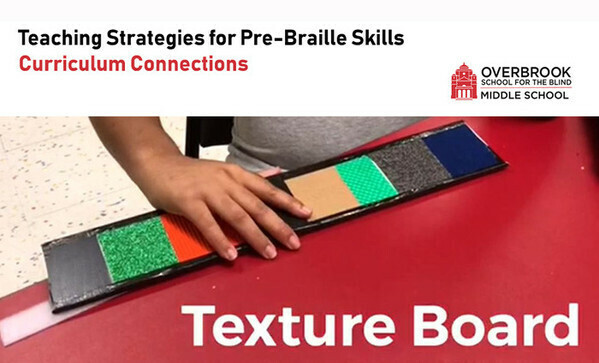 Watch a video of the student using the texture board during a shared activity. You can make these at home to extend learning after school hours. We polled OSB staff and asked, "If you could pick three words to describe Overbrook, without using the word school, what would they be?" Here are just a few of their answers. They are a true reflection of the excellence, service, and dedication our staff brings to our campus every day. What would your three words be? Submit them here! Ms. Whartnaby has been teaching braille for many years in her classroom, but she also teaches students to write their signature independently and as legibly as possible. Writing your signature is a large part of your adult life -- from logging into work, or signing checks and legal documents -- students will always have a need to use their written signature -- and with Ms. Whartnaby's help -- and lots of practice, the students get it. Students explain why we celebrate World Braille Day. World Braille Day was Friday and our campus was celebrating in lots of different ways! Student's in Ms. Worsely's class made a video to tell you a bit more about this awesome day, and students all over campus were practicing, and using braille all day long. Etta used tactual alphabet cards to begin recognizing the shapes and patterns of the braille alphabet. You can make these at home using common household items, like dried beans, pictured in the photo. If you're not a braille reader, why not take some time to learn a little about this coded translation of whatever language you already speak! How cool is that? Three cheers for braille and how it changed the world. Don't forget there are several ways to access upcoming events. Visit our School Year Calendar for enrolled students to scroll through by month and see important dates for your student. Visit our Main School Events calendar for upcoming activities and events on campus and check the home page of our website as well. 2 Wednesday All students return. Classes resume at 8:15 a.m.
17 Thursday Woodbine House Parents Workshop 10:00 a.m. – 1:00 p.m.
22 Tuesday All students return. Classes resume at 8:15 a.m.
25 Friday Funky Friday Family Night 5:30 p.m. – 8:30 p.m.
Ms. Laren and Ms. Maria's Elementary classes took a trip to the Springfield Mall to shop for their annual Pollyanna exchange. While the students were there they happened to run into the "Big Guy" from the North Pole! The students were thrilled to bump into him during this incredibly busy time of year for him! As expected, Santa treated our students with kindness and very interested in what they wanted for the holiday. Thank you, Santa for filling us with Christmas Spirit on our community outing! Each year the Holiday Concert is special and unique. No two years are exactly alike and that is reflective of our school and its ability to adapt, to create, flourish, and grow. Mr. Sapeinza and Mr. Reeves addressed change and the exciting new things happening at Overbrook, from International Initiative and on-campus enterprises to the new "Voice of Overbrook" mixed, choral ensemble. It was a magical evening of music and laughs, reflection and cheer. It just wouldn't be the holidays around here without this concert. We are grateful to everyone who contributed to its success and to all members of the audience near and far. We are extraordinarily proud of our students and the joy they spread through the raising of their voices. No matter your age, reading truly is fundamental. Literacy skills are life-long skills and the students in High School love setting a good example for their younger classmates. Each month classes from High School and Elementary come together for shared activities, based on the curriculum. Reading to the younger students is a practice in public speaking, reading skills, technology skills, patience, and leadership. The students in Main 210 prepare their own accessible materials and model how there are a number of ways to access print materials - standard print, large print, braille, even a Braille note-taking device to students who are 3-5 years old. Our students learn at a young age that these are the tools they will need and begin using to find information, to read for recreation -- these are the materials that they deserve to have at their disposal. In the photograph shown, a student is showing a young student the braille that she produced. There are so many wonderful lessons that come from these activities, but most of all the students love spending time together and sharing stories. Glasses Are Better to See You With! Did you know that Overbrook School for the Blind has a Low Vision Clinic monthly on our campus. Kennedy had her appointment at the Low Vision Clinic and someone is getting new pink glasses for the holidays! 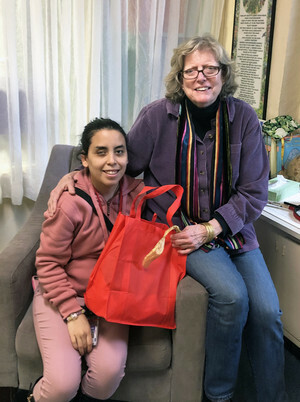 Any student enrolled in an Overbrook School for the Blind home, itinerant or campus-based program is eligible for a free eye exam through the Overbrook Low Vision Clinic, learn more or contact Jo Ann McNamee for more information. Lilly Pulitzer to Host Shop and Share for OSB this Friday! Ladies and Gentlemen, it's time to shop for a cause! Get ready to check off your holiday gift list this FRIDAY, DECEMBER 14th at Lilly Pulitzer! Both the King of Prussia and Suburban Square Lilly Pulitzer locations are hosting a Shop and Share where 10% of profits from the day will be donated to OSB. Stop by and finish some holiday shopping or buy something nice for yourself! You can even make it an evening with friends by grabbing dinner at any of the many restaurants by each location. We hope to see you there! 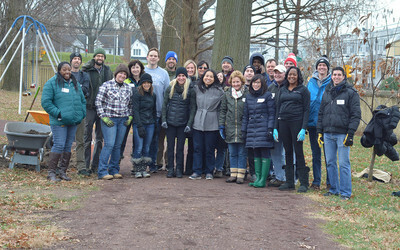 An incredible group of 19 volunteers from Vanguard & Philadelphia Orchard Project (POP) showed up today in the chill to clean up our garden beds and create a new, 40 foot long, more accessible berry patch! That was a LOT of heavy lifting and hard work. Thank you for all of time and dedication. We are so grateful to every volunteer who showed up for us today -- and for those who continue to show up for us. Today the Farm to Table Program hosted it's Annual Tree Trimming and it was nothing short of an amazing morning. All of the students and staff got into the Holiday Spirit by making their own ornaments for the tree outside of Lyon's Hall. The staff and students also made a great Veggie Lodge! Overbrook School for the Blind is saddened to share that John Martin, of our Facilities and Maintenance department, passed away this weekend. "John was a mainstay of our facilities team. During his time with our school, we could turn to him for his electrical know-how and his natural talents in sound design," remarked OSB CEO, Todd Reeves. "More than the sum of his talents, however, we could continually turn to John to go above and beyond for our students at a moment's notice and regardless of the situation at hand. He will be missed and his memory will be held in high regard by our entire campus community." May he rest in peace and may his memory be a blessing. 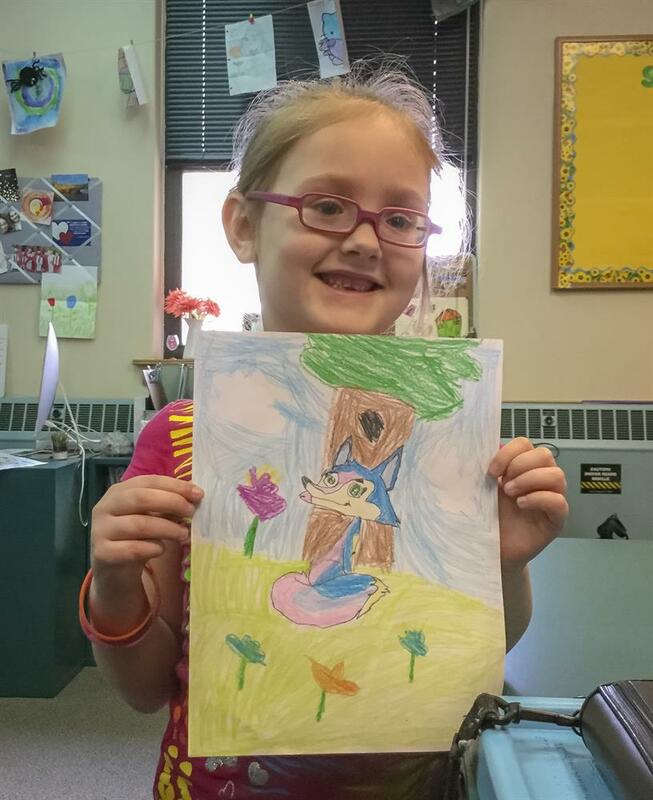 Last year the students in Ms. Eva's classroom worked with an Early Childhood student to produce their first book, "Fiona the Fox". The book was inspired by Early Childhood student, Noelle, who wanted to illustrate a book and inspired Ms. Eva's class to write a book! We love the book they created and we know you will too! Would you like to get your very own copy? Check it out here! Learn more about Jeff's visit. We are welcoming the upcoming school year with open arms. We have a lot of wonderful things planned for 2018-2018, but we are going to enjoy the last few days of summer before the staff return and the buses begin arriving. School calendar for the 2018-2019 School Year. Philadelphia, PA: Overbrook School for the Blind (OSB) will present the first Caulfield Medal of Distinction to Jeffrey D. Marrazzo and Katherine A. High, M.D., Co-Founders of Spark Therapeutics, during the fifth annual Overbrook Experience Dinner on Tuesday, October 9, 2018. Created in honor of the legacy and pioneering spirit of Genevieve Caulfield, an alumna of Overbrook School for the Blind, the Caulfield Medal of Distinction is awarded to individuals or organizations responsible for exceptional deeds that improve society, especially the lives of those living with disabilities. “When we were considering recipients for the Caulfield Medal of Distinction this year, it did not take very long to determine that Spark’s own pioneering spirit and relentless pursuit of innovation are without peer, both right here in Philadelphia and like Ms. Caulfield, far beyond our city limits, as well,” says Warwick S. Wheeler, President of the Overbrook School for the Blind Board of Trustees. Spark Therapeutics, a fully integrated company committed to discovering, developing and delivering gene therapies based in West Philadelphia, is challenging the inevitability of genetic diseases, including blindness, hemophilia and neurodegenerative diseases. Under the leadership of Marrazzo and High, the Philadelphia-based company received approval in late 2017 from the U.S. Food and Drug Administration for the first gene therapy for an inherited retinal disease and successfully saw the first patients treated with this gene therapy earlier this year. Born in Virginia, Genevieve Caulfield lost her sight in an accident when a doctor spilled acid into her eyes when she was two months old. She graduated from Overbrook School for the Blind in 1905 and went on to attend Columbia Teachers College. Since her youth, Ms. Caulfield had dreamed of becoming a teacher to help create a better understanding between Japanese people and Americans. Her dream came true in 1923, when she went to Japan and taught English for a living as well as braille to blind students. In 1938, she opened the Bangkok School for the Blind, partly financed by her own savings, after she learned that blind children were considered useless in Thailand. Resisting repatriation during World War II, she stayed in Bangkok and continued to work for her school. From 1956 to 1960, she organized a school for the blind and a rehabilitation center for boys in Saigon. In 1960, Ms. Caulfield published an autobiography about her achievements entitled The Kingdom Within. The next year, she was awarded the Ramon Magsaysay Award for International Understanding. In 1963, she received the Presidential Medal of Freedom in recognition of her work for the blind in Asia. The award was given by President Lyndon B. Johnson in honor of President John F. Kennedy. Her niece was the actress Joan Caulfield. Genevieve Caulfield passed in 1972 at the age of 84. Jeff Marrazzo has led the creation and growth of Spark Therapeutics from a research center within Children’s Hospital of Philadelphia (CHOP) to a fully integrated, commercial gene therapy company that is challenging the inevitability of genetic disease by discovering, developing and delivering potential treatments. He also serves on Spark’s board of directors. Under Jeff’s leadership, Spark has received FDA approval for and launched the first gene therapy for a genetic disease in the United States, and has established human proof-of-concept of Spark’s gene therapy platform in both the retina and liver. In the four years since founding Spark, Jeff has secured more than $1 billion in capital and built an organization of more than 320 colleagues. For two years running, Spark has been named to the top 10 of MIT Technology Review’s “50 Smartest Companies”. It’s also been recognized as one of 2018’s most innovative companies in Biotech by Fast Company. During a career that has spanned the public and private sectors, Jeff has consistently championed the potential benefits of precision medicine and healthcare reform for patients. Prior to Spark, he helped build the first genetic testing benefit management and pharmacogenomics medicines company to CVS Caremark. Previously, Jeff served as an advisor to former Pennsylvania Governor Edward G. Rendell, where he led reforms in the financing and delivery of healthcare. Dr. Katherine “Kathy” High, an accomplished hematologist with a longstanding interest in gene therapy for genetic disease, began her career studying the molecular basis of blood coagulation and the development of novel therapeutics for the treatment of bleeding disorders. Her pioneering bench-to-bedside studies of gene therapy for hemophilia led to a series of studies that characterized the human immune response to adeno-associated viral (AAV) vectors in a variety of target tissues. Kathy’s work has evolved to encompass clinical translation of potential gene therapies for multiple inherited disorders. 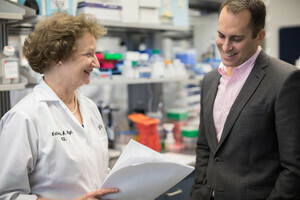 As the director of the Center for Cellular and Molecular Therapeutics at Children’s Hospital of Philadelphia (CHOP), Kathy assembled a multidisciplinary team of scientists and researchers working to discover new gene and cell therapies for genetic diseases and to facilitate rapid translation of preclinical discoveries into clinical application. As president at Spark Therapeutics, she has led the development and regulatory approval of the first gene therapy for a genetic disease in the United States. Spark has shown human proof-of-concept of its leading gene therapy platform in both the retina and the liver, and has received breakthrough therapy designations for three different therapeutics across two different tissue targets, the eye and the liver. In addition to her operational role, Kathy serves as a member of the Board of Directors of Spark. The Overbrook Experience Dinner connects guests with the challenges that students who are blind, visually impaired or living with additional disabilities face each day. More than $300,000 has been raised by the Overbrook Experience Dinner to support the M. Christine Murphy Horticulture Education Center on OSB’s campus and improve student access to adaptive/assistive technology. The 2018 Overbrook Experience Dinner will be held on the Overbrook School for the Blind campus at 6333 Malvern Avenue in Philadelphia from 6 to 9 p.m. In addition to cocktails and dinner, the evening includes a silent and live auction, and live music performed by Overbrook School for the Blind student musicians. Tickets to the 2018 Overbrook Experience Dinner are available by contacting Robert Smith, OSB Director of Development at rsmith@obs.org. 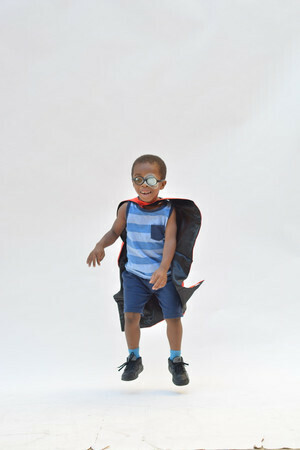 For more information about Overbrook School for the Blind, please visit www.obs.org. On Saturday the TVI students went on a very exciting tour of historical Philadelphia. The tour was organized by Trish Maunder and her crew at Philly Touch Tours (who did such a wonderful job with the Italian market tour the previous weekend). The tour started at the Philly Tour Hub, where the students were met by Chris Kuncio, who through his role as the young Ben Franklin, brings Philadelphia history to life through his knowledge of history and his witty insights into Benjamin Franklin and the rest of the founding fathers, much of which was delivered as a rap! The tour included stops at the Betsy Ross house, Franklin Print Shop, Carpenter’s Hall and then a thrilling visit to the Liberty Bell, where just for the TVI students (and the the envy of the other tourists present) the barriers were removed so that the students could approach and touch the Liberty Bell! Overbrook School for the Blind's Extended School Year (ESY) program is now running from 8:30 a.m. - 2 p.m., Monday - Thursday. At Overbrook we can provide related services, like orientation and mobility, and continue IEP goals on day one of the ESY program. Having ESY on campus creates a smooth transition for our students, and it also helps us to make the most of our "campers" educational time, so that we can ensure they maintain the skills they worked so hard on in the school year. A continuum of services is incredibly important to our hard-working, goal-smashing students and prepares them for the upcoming year. Our students and our staff waste no time -- right back to cane skills and traveling safely on day one! Our travelers have places to go and routes to master! Visitors with vision loss and their companions are invited to explore the Museum through touch and verbal description. The program will feature touch experiences in eight galleries, including a chance to touch the largest Sphinx in North America. Museum staff will be stationed around the building to guide visitors who are blind or visually impaired through the tactile experiences, give verbal descriptions, and offer wayfinding assistance. This event is open to the public. All visitors will be able to touch replica artifacts. Only visitors with visual impairment will be able to touch ancient artifacts. Visitors with vision loss who require or prefer sighted guides are encouraged to bring an assistant or companion. The Towers Newsletter, Graduation Issue is now available on the Towers Newsletter page. A reminder that Extended School Year for students who have already been enrolled, begins on July 9th and will run through August 9th, Monday - Thursday. We are looking forward to seeing our students soon, but until then enjoy your break! While attending the 11th session of the Conference of States Parties to the CRPD (The Convention on the Rights of Persons with Disabilities) at the United Nations, Mr. Yasunobu Ishii, Senior Program Director of Social Innovation Program Division, and Ms. Eriko Uchiyama (Disability and Child Welfare Team) from The Nippon Foundation (????) paid a quick visit to Overbrook. Through their generous support over many, many years, The Nippon Foundation helped us to fund both our on-campus International Program and Overbrook-Nippon Network on Educational Technology (ON-NET) in SE Asia. We are incredibly grateful to Mr. Ishii and Ms. Uchiyama for their visit, their wisdom, their generosity, and their incredible passion and concern for global equality and the advancement of persons with disabilities. We are so incredibly proud of all of your accomplishments. Cheers to each of you and we can't wait to see what you accomplish! 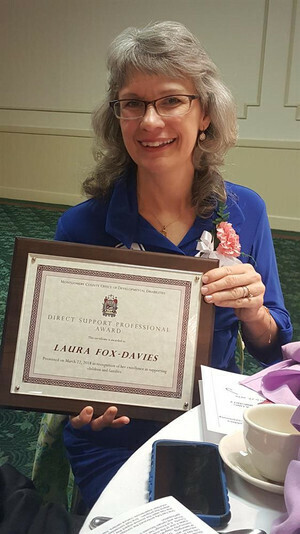 Congratulations to EIO Teacher Laura Fox Davies who received a Direct Support Professional Award from the Montgomery County Office of Developmental Disabilities. This award is given to a Direct Support Professional who extends themselves beyond the typical expectations of the position and who provides caring and exemplary service and support to the individuals they serve. Laura has been an EIO Teacher for over 20 years. Thank you, Laura, for your dedication and service. To say the staff and students had a great time at the “Music Is Our Vision” Festival would be an understatement. Look at the joy on the faces of the students and the staff in these photos. We are grateful to have added our voices to the 100+ students in attendance. We would like to thank all of the participating schools and a very special thanks to Perkins School for the Blind for hosting another fabulous event and keeping the arts alive! Did you know Overbrook sells gift cards as a student-run fund-raiser. Check out the video some of our High School students made along with the help of Ms. Bannan and Ms. Worsley to advertise Overbrook's Gift Card Program. The script was written by our very own Louis T.
Overbrook Featured in Technical.ly Philly! Many thanks to Roberto Torres from Technically Philly for visiting one of our classrooms at OSB! 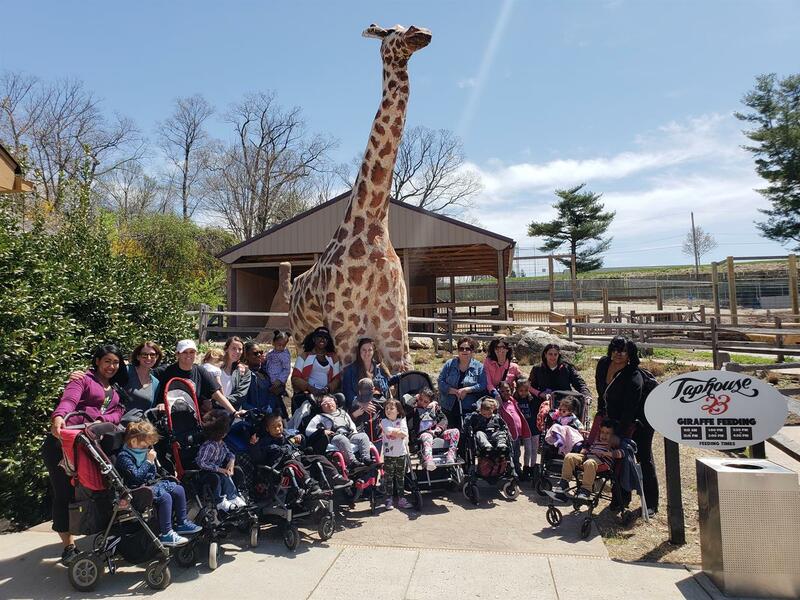 Early Childhood students in Ms. Maria, Ms. Alisha, Ms. Anita, and Ms. Natalie's classes headed out to the Elmwood Zoo for a visit! It sure does look like they had a great time! The staff from Elmwood Zoo have been visiting our campus often this year, as part of their Educational Programming called Laugh & Learn. 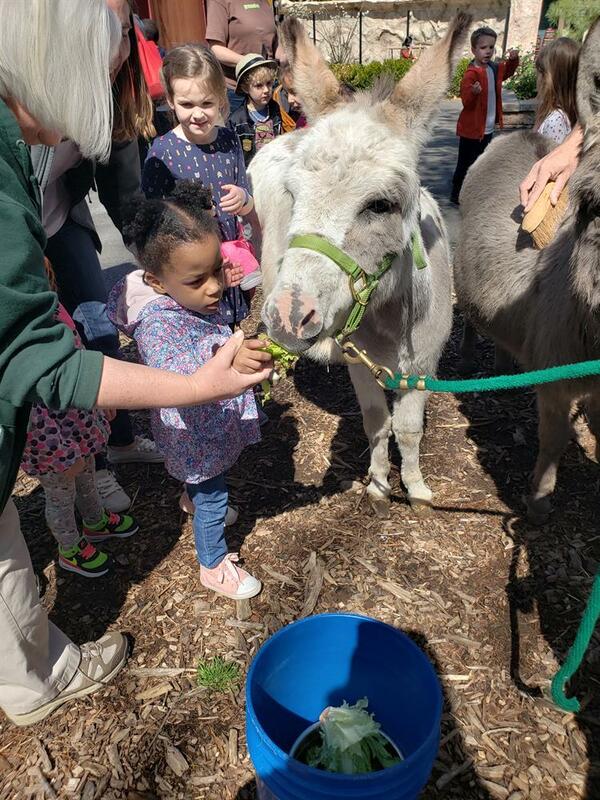 Our students have enjoyed every single moment of this fun, interactive, multi-sensory educational experience with the wonderful educators from the zoo. They love interacting with the animals! Our friends at Art Reach and the Barnes Foundation hosted our Elementary students for a day of discovery and hands-on learning. The students visited the museum and learned all about Paul Cézanne. They learned that Cezanne was a very famous French artist and Post-Impressionist painter. The students were able to paint their very own Cezanne-style, still life paintings using real apples for stamping with the help of the amazing volunteers at the museum. This is a great and easy activity to try at home as well! Just cut an apple in half, dip in washable paint and stamp away on paper or brown paper bags. Try different fruit and see how each makes a unique shape and create your own fruit bowl still life. Ms. DiFabio's art room is always brewing with excitement, education, and fu n. Ms. DiFabio has a way of seamlessly integrating art with history, math, science, art, social justice, social skill development, and community involvement. She has created a learning space where the students can express themselves, get messy, actively participate in the creative process, explore new recreational activities, work in teams, and have a great time too. 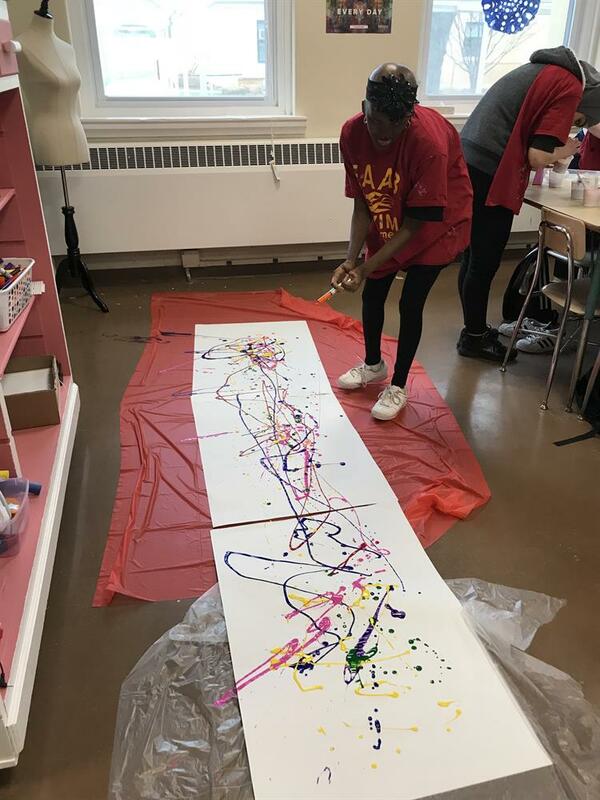 Recently, students in Mrs. Whartnaby's High School class learned about Jackson Pollock. The students watched and listened to a video about Jackson Pollock's life, his creative process, and how expressed himself through his paintings. The students then created their own movement paintings in the art room. We are very proud of the creative arts that thrive on our campus. As Director Todd Reeves stated, "Since 1832, arts education has been an important pillar of the curriculum at Overbrook, which has continued to the present day and will continue in the future, in part because people in the arts community are predominantly supportive and aligned with our mission." We are proud of our on-going partnership with Art-Reach that keeps our students engaged in Philadelphia culture. We are proud of our amazing art teacher and our instructional staff who inspire our student's "creative" every single day. 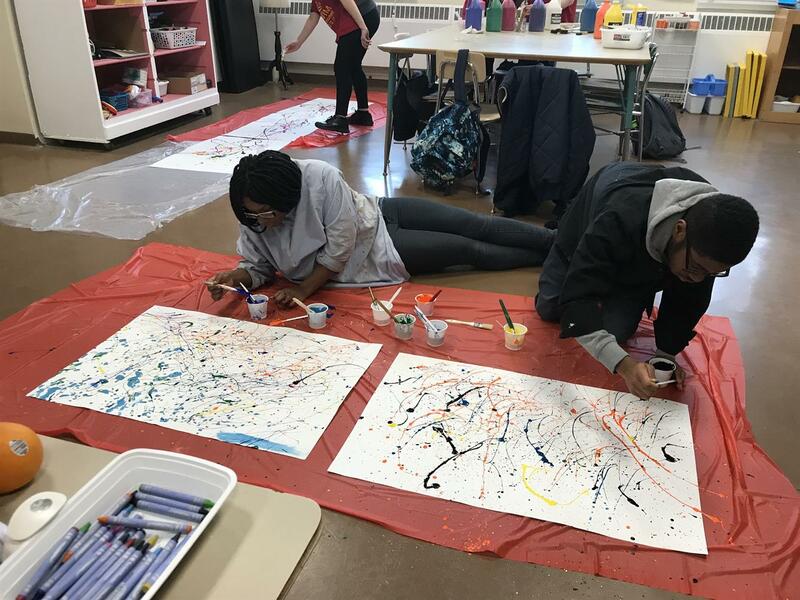 When many educational facilities are cutting the arts, Overbrook believes the Visual and Performing Arts are an investment in our student's future. Take a walk through our colorful, art-filled hallways and you will see our staff's dedication to creativity in everything that they do. 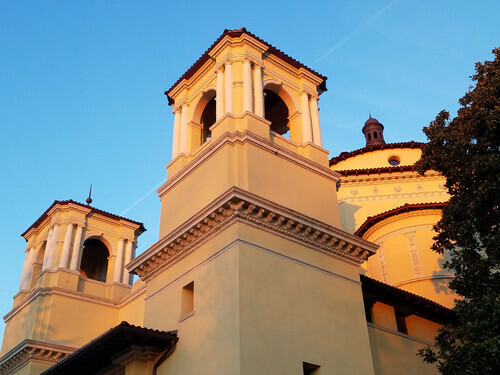 If you are lucky enough, you may even hear sweet music filling the cloisters and students enjoying the freedom, joy, and wonder that comes with knowing you are creating beauty.